This entry is part 8 of 8 in the series Wall v. JWs. Mr. Wall was found by his church to have violated their teachings and was disfellowshipped for not being sufficiently repentant. His loss of membership meant his former co-congregants would no longer do business with him as a real estate agent. His business suffered to the point of bankruptcy. He took his church to court and asked that the church’s decision be overturned because it was not properly made – in legal jargon, that is called “procedural fairness.” Immediately, the church took the position that courts have no right to interfere with membership decisions and religious beliefs. The Supreme Court agreed. 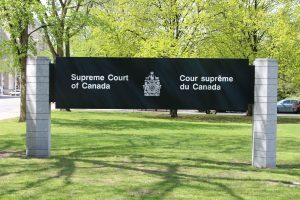 Justice Malcolm Rowe wrote the decision in clear and unambiguous language: these types of cases are of no concern of the court. Judicial review is limited to public decision makers, which the church is not. The church was not operating as a public authority. He also pointed out that procedural fairness can only apply if there is a legal right at issue, such as a contract. 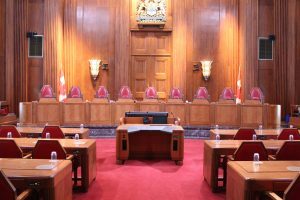 Finally, Rowe made it clear that when it comes to church issues – whether procedural or theological – that is not the bailiwick of a civil court. 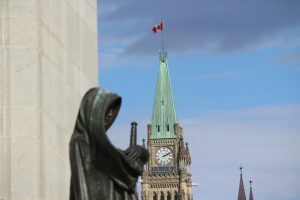 This decision has laid to rest the idea that just because a religious body is incorporated through a “Private Act” of a provincial or federal legislature it thereby has statutory authority to act as if it were government. Justice Rowe was very clear. Such Acts are limited, and they have not passed on to the entity legislative authority. This is a crucial finding as there have been many cases over the years that have made the suggestion that incorporation through a private act confers state authority. Now we know that such reasoning is not valid law. A church is not a state actor. Because a church is not a state actor, its decisions cannot be presumed to be reviewable by the courts. A court, as Rowe made clear, can only review a public body or intervene where there is a legal right between the disputing parties, such as a contractual right. No such right existed here. The church was not a state actor and there was no other legal right between the parties that the courts should be concerned about. Another interesting distinction that Justice Rowe made was on the issue of what is “public.” Under administrative law, “public” refers to the government and its actions; in a generic sense, “public” may also be used to mean a broad segment of the population. This is an important issue for religious communities because there is a view that anytime a religious community gets involved in the “public,” such as running schools or universities, then it must be considered as a public actor subject to the Charter. Of course, such entities do have to follow government regulations if they are licensed by the government, but to suggest that they are, in fact, government actors is taking it a step too far. This has relevance for the Trinity Western University Case. Will the Court say that TWU is a “state actor” because it runs a university? Will it conclude that while TWU is not “directly” subject to the Charter it might be “indirectly” because of the Law Societies’ regulation of law schools? We wait with great anticipation for the TWU decision which could come as early as next week. Finally, the court has made it clear that when it comes to voluntary organizations such as churches, there is no automatic entitlement to go to court and argue that the organization’s decisions were unfair. For a court to review a decision of an organization there must be an underlying legal right that supports that claim, such as a contract. Where no such right exists, a voluntary organization is free to make decision as it sees fit, without having to worry about a judicial review from the civil courts. This gives voluntary organizations a lot of breathing space. Justice Rowe used the phrase “institutional capacity and legitimacy” for good reason. Courts are not equipped or qualified to settle internal religious disputes. Nor do they have the time. 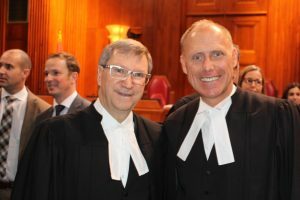 This is a great decision for the religious and voluntary community in Canada. CCCC Factum in the Wall case.